Spectacular video showing the takeoff of the Airbus A400 during a flight demonstration while an Airbus A380 is landing. The video shows the excellent acrobatic qualities of the new military transport aircraft manufactured by Airbus. Quick turns, beatens and inverted flight for a big aircraft with empty weight of 70,000 kgs. 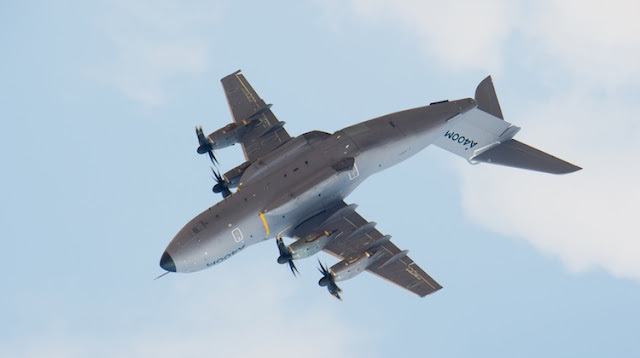 The A400 is 45 meters long, 15 meters high, has a wing span of 42 meters and reaches a max speed of 0,72 mach.